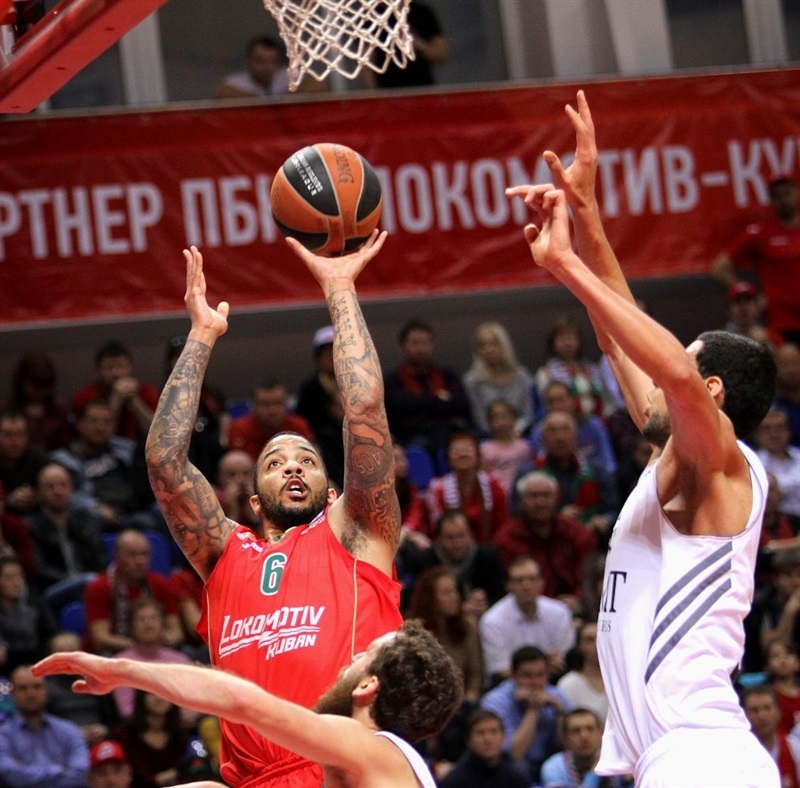 Real Madrid ensured at least a share of first place in Group F after holding on to beat Lokomotiv Kuban Krasnodar 74-78 on the road on Thursday. 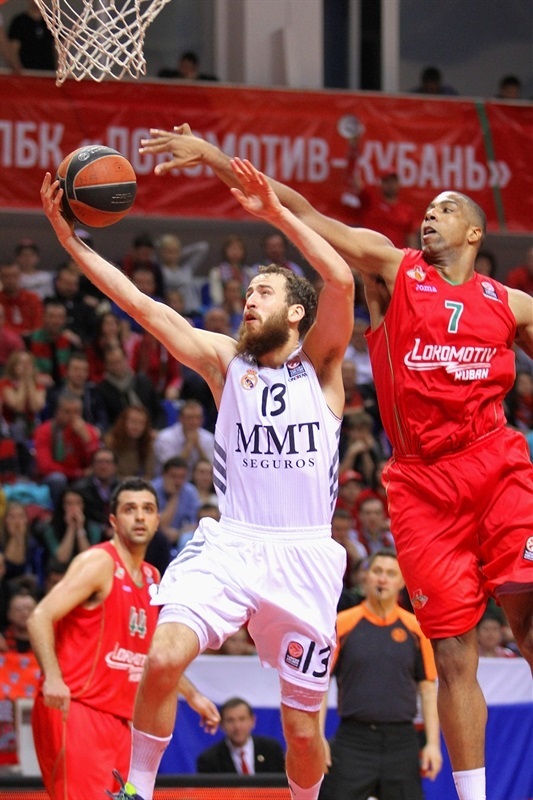 Madrid improved to 5-1 in Top 16 Group F, while dropping Lokomotiv to 3-3. Sergio Rodriguez stood tall for Los Blancos once again with 16 points – just 1 missed shot – and 6 rebounds. He clinched the victory with a layup with 12 seconds remaining. 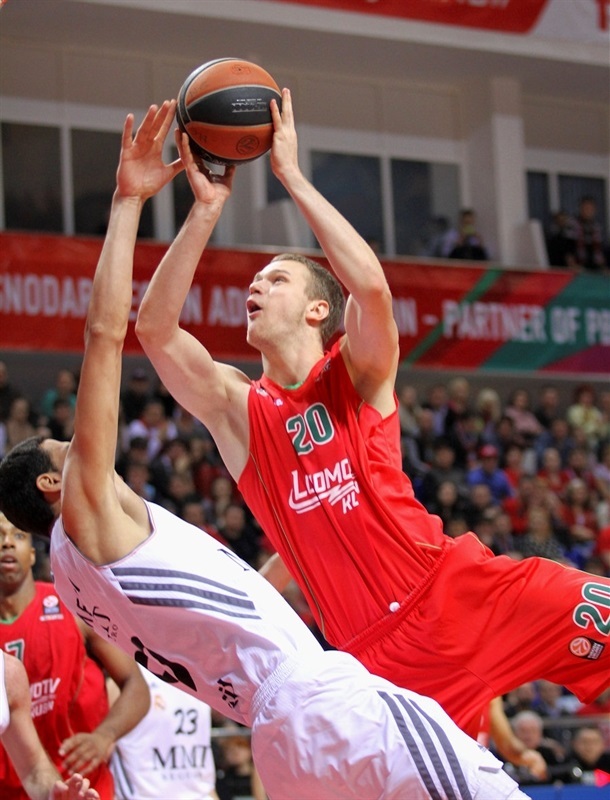 Mantas Kalnietis scored 6 points as Lokomotiv took charge with a 16-3 start. Madrid closed the gap to 5 at the end of the first quarter before Rodriguez and Salah Mejri rallied Madrid to a 36-40 halftime lead. The visitors held on throughout the third quarter and seemed to have the game locked up when Rodriguez partnered with Marcus Slaughter for an alley-oop and a 60-71 advantage. 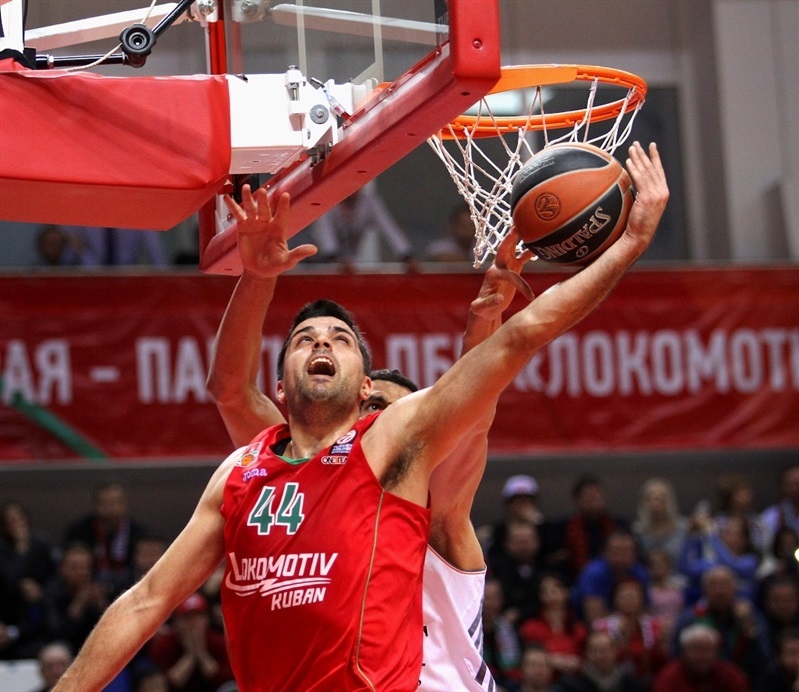 Lokomotiv rallied with 10 unanswered points and eventually tied it at 74-74 on a Kalnietis triple. However the hosts’ magic ran out and Madrid scored the game’s final baskets. 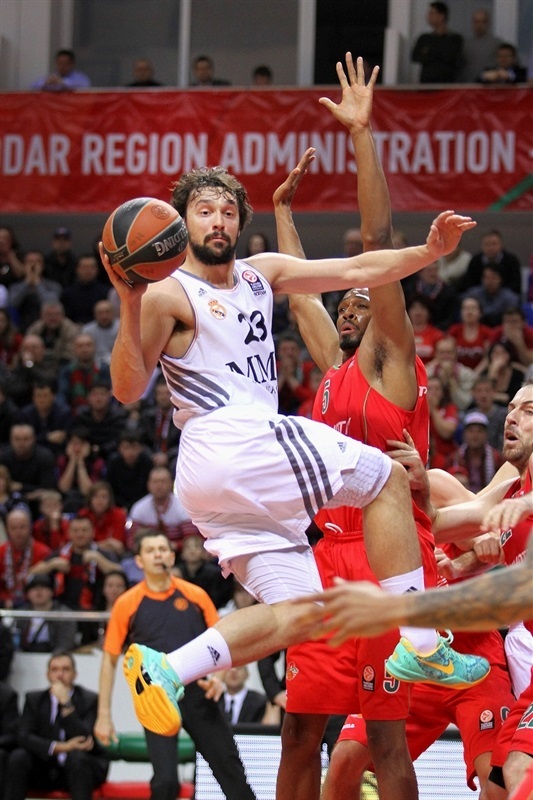 Sergio Llull added 15 points and 5 assists and Nikola Mirotic amassed 12 points and 9 rebounds for the winners. Derrick Brown led Lokomotiv with 21 points, Kalnietis scored 15 and dished 7 assists, Krunoslav Simon amassed 14 points and 6 assists and Richard Hendrix tallied 12 points and 10 rebounds in defeat. 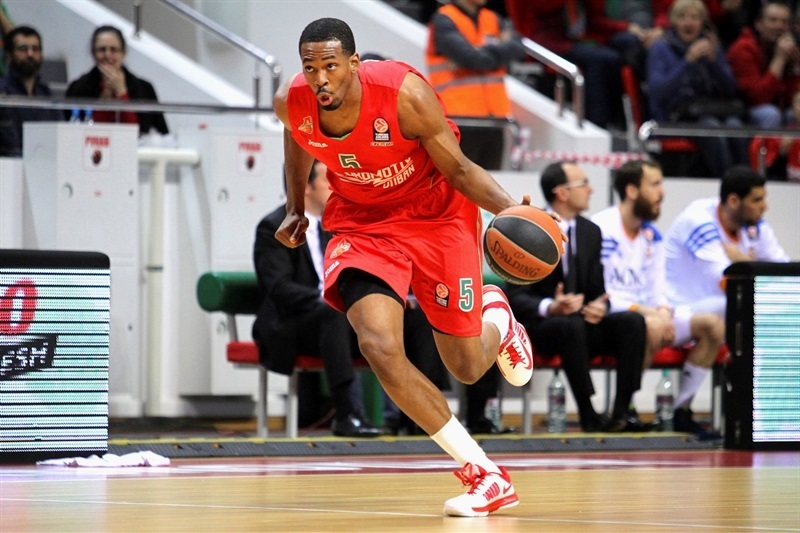 Simon opened the scoring with a three for Lokomotiv. Mirotic split free throws to get Los Blancos on the board. Neither team found great offensive rhythm in the opening minutes. Llull tied the game with a drive, but Kalnietis took charge with a three-pointer and then a layup – with a lucky roll – and foul. Simon free throws made it 11-3. 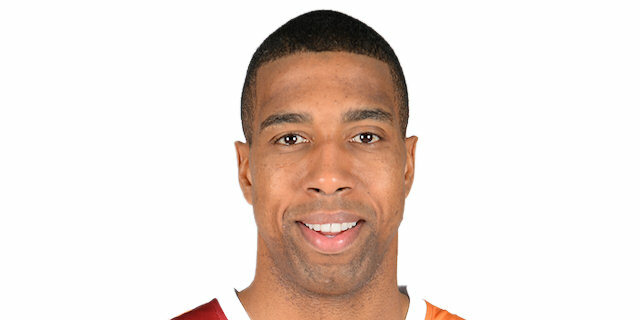 Hendrix rejected Rudy Fernandez to trigger a fast break finished by Brown. Hendrix threw down a slam to cap a 13-0 Lokomotiv run. Crisp passing led to a Fernandez three, which ended a three-minute Madrid drought. Mirotic was a major force for Madrid with rebounds at both ends and several free throws. Aleks Maric scored on the offensive glass, but Mirotic free throws kept the visitors within 20-11. Brown nailed a jumper, Rudy responded with a tough layup. A three by Rodriguez and Ioannis Bourousis tip-in at the buzzer brought the visitors within 23-18 after 10 minutes. Rodriguez extended the Madrid momentum with a triple, but Loko answered as Hendrix scored inside and Simon from downtown. Rudy drained a turnaround jumper to make it 28-23. Mejri flashed a highlight with a two-handed rebound-slam. Hendrix kept the hosts comfortable in front, 32-25, midway through the quarter. After Llull sank a three, Mejri played brilliant defense to reject Andrey Zubkov. Before long Mejri tied the game and his second block led to a Rodriguez layup and Madrid’s first lead, 32-34. Baskets by Maric and Brown tied the score twice. However a pair of Mejri free throws and an impressive layup from Rodriguez put Madrid up 36-40 at the break. Madrid coach Pablo Laso put Dontaye Draper at point guard to open the second half. Bourousis and Brown traded baskets before Mirtotic free throws and a Llull three on the 24-second buzzer gave Madrid a 9-point lead. Kalnietis countered with a three and Kalnietis tossed a perfect alley-oop to Brown. Bourousis muscled his way to a basket before Llull swiped a Kalnietis pass and coasted for an uncontested layup. A mid-range jumper by Brown made it 45-51 midway through the quarter. Free throws by Hendrix and a layup by Brown carried the hosts within 4. Maxim Grigoryev halved the deficit before Kalnietis bounced a pass to Brown for a basket-plus foul to tie the game at 53-53. Rodriguez set up Slaughter for a layup for an alley-oop layin and Bourousis split free throws to put Madrid back ahead. A second Slaughter score left Los Blancos up 54-58 at the end of the quarter. Felipe Reyes boosted the Madrid lead with the first basket of the quarter. Simon drove for a layup at the other end. Llull produced another highlight with a steal and layup before a Rodriguez steal led to a break in which Llull fed Tremmell Darden for a monster slam and a 56-64 lead. 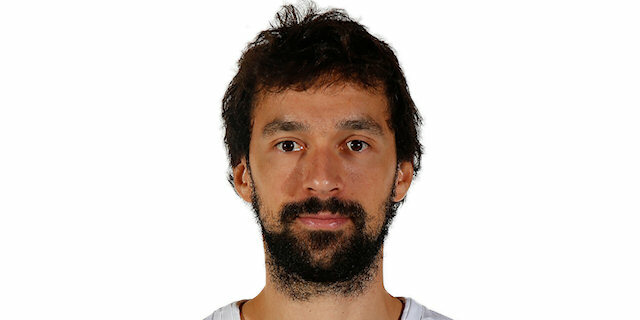 After a Lokomotiv timeout, Hendrix scored, but Llull countered with a three that put the visitors up 9. Rodriguez partnered with Slaughter on another alley-oop for a 60-71 advantage. Hendrix scored inside and Simon sank free throws to give the hosts hope. Kalnietis pulled up for a three to make it 67-71 with more than four minutes to play. A Madrid timeout did little to change the momentum: Kalnietis went behind his back before passing to Grigoryev for an easy 2. Brown split free throws to bring the hosts within 70-71. Mirotic scored at the other end. Grigoryev and Slaughter each split free throws to leave Madrid up 3 with two minutes to go. Kalnietis stepped up with his fourth three of the night to tie the game at 74-74. Rudy stripped Grigoryev and that led to a Mirotic reverse layup with just under a minute remaining. Bourousis rejected a cutting Brown with 35 seconds to go and after the visitors spent most of the 24-second clock, Rodriguez danced through the lane for a layup to make it 74-78. 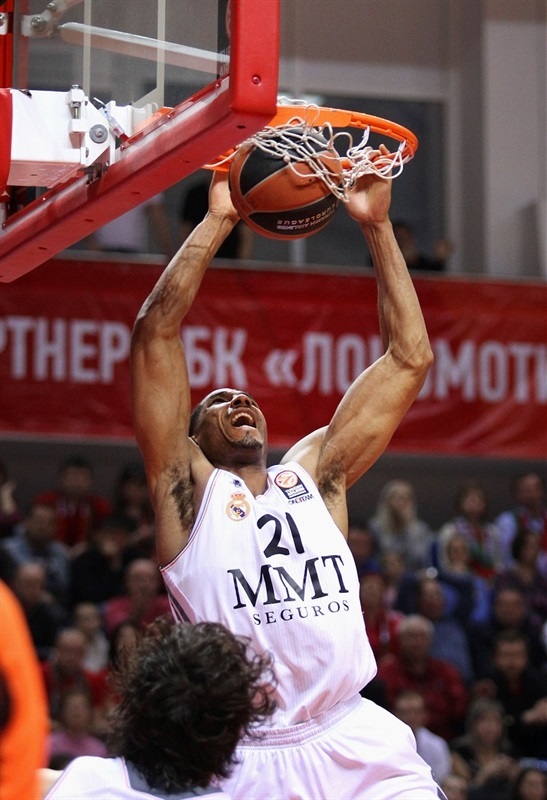 Grigoryev missed a desperation three and Madrid went home with a hard-fought win. "I think we had a very good chance to win this game. Guys were playing with all their heart and proved that we can compete with a team of Real's caliber. The plan for the game was to make Real play our tempo and that's what we were able to do in the first quarter. In the second our bench players couldn't feel the rhythm of the game and gave Real the lead that ultimately decided the outcome. Real has a deep roster and they were able to maintain their level of play up until the last minutes. Still we had our chances in the final minutes, but unfortunately made mistakes down the stretch. " "I want to congratulate my team. We were coming to Krasnodar after a tough game in the Copa del Rey final, and we knew that this matchup with Lokomotiv wasn't going to be easy. So we couldn't start the game on our usual level and let Lokomotiv get a 10-point advantage. They were running and executing better than us. After that we were able to get back in the game thanks to our bench, who gave us a boost in defense and overall energy. At that point we were in control of the game, but our opponent managed to come back. And it all went down to the last minutes when we were playing smart and patiently. Lokomotiv is a very good team and I'm happy we can take the victory to Madrid. " " We started the game really good and delivered the first punch, but when it all came down to the final minutes we were not able to execute our plan. A couple of mistakes cost us the victory. We can't be satisfied with just a good game against Real - we wanted and could have won. But we have a lot of games ahead and will get our victories. " "It was a really tough game for us because we made a big effort during the last weekend at the Copa del Rey. We didn't come out well and it's took us a quarter and a half to find our pace in the game. Finally we had a 6-7 points lead with three minutes left, but they grabbed the game and we didn't get the victory until the very last second. It's a very important win for us against a really good team and in a difficult court and I hope it gives us confidence."